Thanks to our bribe package, the judges awarded us zero penalty laps... for now. After almost seven hours of racing we were called in and awarded 1000 penalty laps. 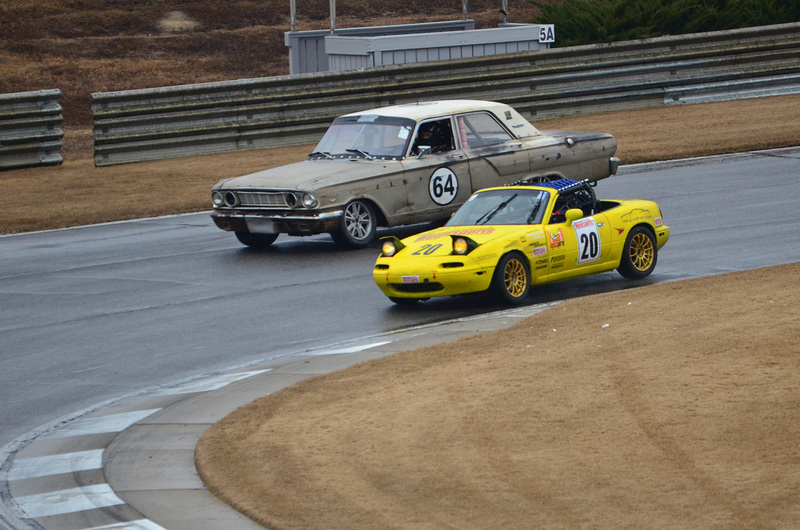 Don't bring a turbocharged Miata to a LeMons race, kids. We weren't really in the race for the lead anymore, but we worked on improving our pit stops. We kept clicking off laps in the rain on Sunday and eventually cracked our way back into the top 50. 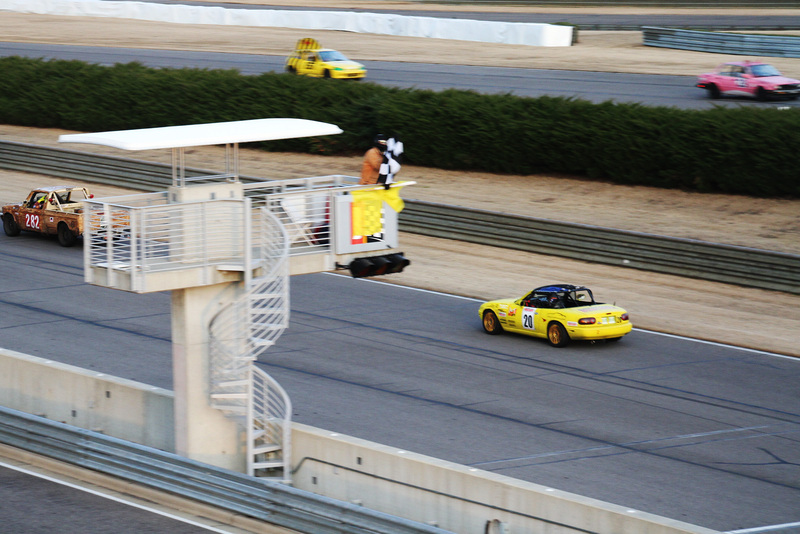 The 24 Hours of LeMons is a real experience to drive in. You don't get this kind of competitive variety in many (if any) other series. 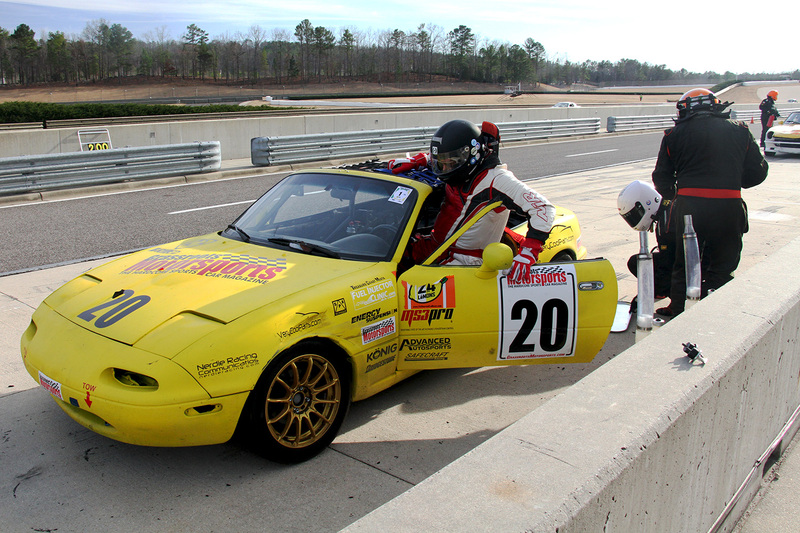 What’s more fun that racing in the 24 Hours of LeMons? Racing in it with a stupid-fast car. After a few years of honing our race craft, we decided to up the ante and bolt the ruined turbocharger from an early Subaru WRX to our yellow Miata. The result? 193 horsepower at the rear wheels, and a view under the hood that was sure to earn us more penalty laps than all who’d come before. Yeah, that didn’t happen–at least not at first. 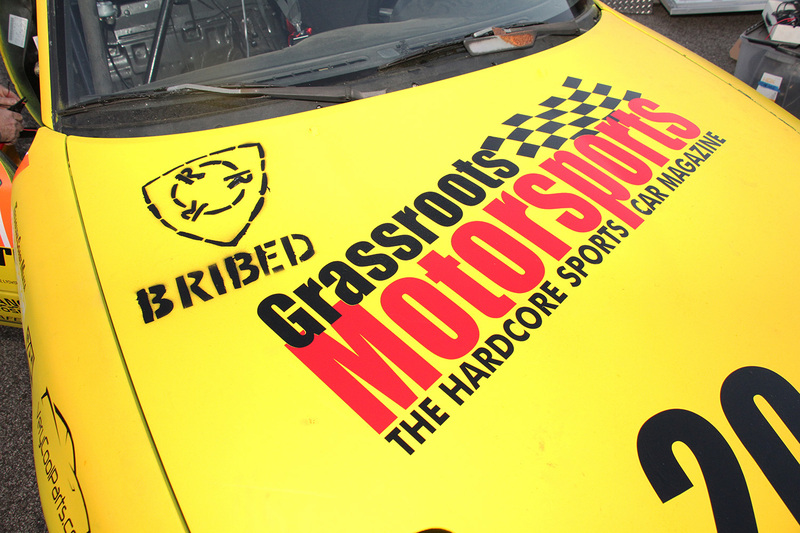 Thanks to some sweet bribes, we skated through LeMons’ BS Inspection without a single penalty lap. We’d gotten away with murder–or so we thought. 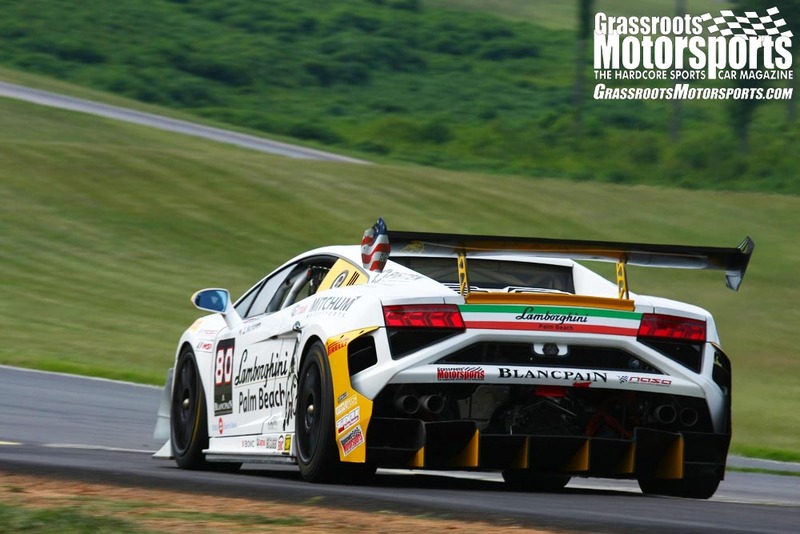 During day one of the two-day race, we worked our way up from a mid-pack start to fifth overall and still climbing, hampered only by a black flag thrown after one of our drivers put a few too many wheels off the track while passing a slower car. We’ll be honest here: We pretended we couldn’t reach the hood release. That didn’t work, as the judges figured it out and opened it anyway. That blew the lid off our whole plan–sure, we’d been telling anyone who would listen we had a turbo, and we’d been passing Mustangs and Camaros on the straights, but the judges assumed we were joking and/or would blow the engine before we came even close to victory. What was our penalty for bringing a turbo, and doing well? 1000 laps, or four times what many competitors would turn in the entire race. Thankfully, we had an ace up our sleeve: A get-out-of-penalty-free sticker from LeMons of Love. The charity provides care packages for chemo patients, and every competitor who donated earned one free pass from the LeMons Supreme Court’s hammer of justice. That pass knocked our penalty down to 100 laps, which put us back to 70-something overall. Over the next 7 hours of racing, we managed to work our way up, eventually finishing 49th out of 102 competitors. Without the penalty, we would have earned a top-three finish. We didn’t win, but did we have fun? Absolutely. 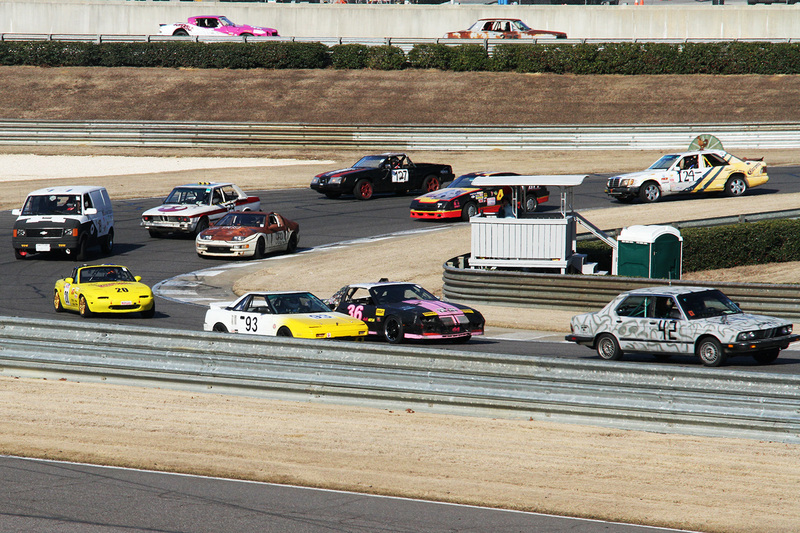 Racing in the 24 Hours of LeMons is one of the least expensive ways to get a ton of track time, and there’s nothing more fun than going into a corner three wide between a Civic made to look like a BMW made to look like a shark and a Ranchero on all-season street tires. 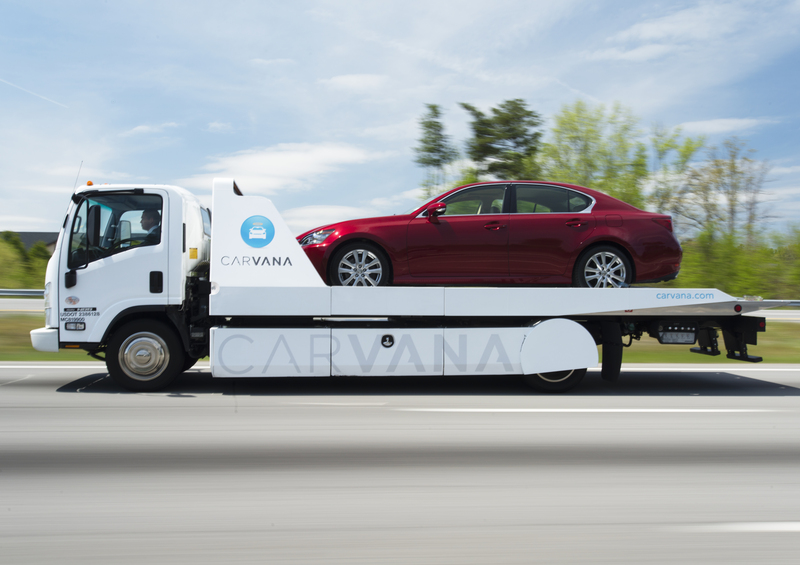 What’s next for our Miata? We have some post-race maintenance to tackle, then we’ll be out on track again–hopefully with fewer penalty laps next time. Awesome!! Glad to hear the car ran well. Who did initial BS inspection? Didn't they pick up on the turbo? Hope to see you out there soon! Coming up north for any races? 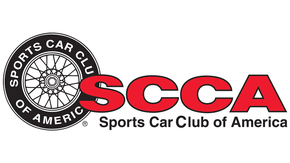 I'll be at all the northeast races, CMP fall and Road Atlanta in December. The dementions in this photo are humorous. The Fairlane looks unusually huge or the Miata looks unusually small. Congrats on finishing strong out of the gate with a homebrew turbo. That's a huge accomplishment. I hope we get to read about it in the mag. In the olden days of LeMons your car would probably be under an excavator. 49th? You probably would have finished a lot higher with a stock motor. I'll bet it was a lot more fun to drive with boost, though. I'm impressed you could keep it together, good work. I think you meant "dimensions". Or was that dementedly intentional? So that banged up turbo held together? Impressive! We had a good laugh at the Rolex. Turns out the cheap eBay manifold they bought is a copy of an old FM III system from somewhere around 1997. I'm planning on running with them again at Mid-Ohio in September.